Good morning! Hopefully, this little Saturday morning delivery finds you smiling and full of good cheer. It is officially spring now, so bring on the sunshine and warmer weather! Here at the Marian Center, we are still beaming with happiness. We have much for which to be grateful. On the Solemnity of Saint Joseph, March 19, we marked 25 years here in Joy Valley. As you might remember, we spent last Saturday celebrating this special occasion with Bishop Raica and over 50 of our friends, volunteers and supporters. It was a wonderful day! Many thanks to all who attended or who prayed for us, especially on that day! 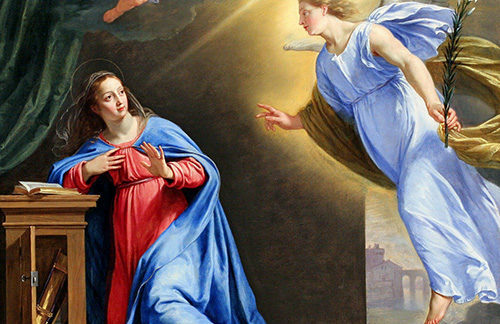 As we look toward this coming week, we have another great solemnity to celebrate: The Annunciation! We love solemnities for a number or reasons (more on this later), but one of the fun parts of a solemnity is that you do not have to observe your Lenten fast! It truly is a day of celebration and feasting! We figured we would focus on The Annunciation (Monday the 25th) for this week’s Cause of Our Joy. Anytime we can learn more about Our Lady (and, of course, Jesus!) we want to take full advantage! Do you ever wonder what the difference is between a feast day, a memorial, and a solemnity? If you’ve ever looked at a Catholic calendar you might have pondered why some saints get feast days and memorials and some get solemnities. This piece from Catholic Straight Answers is helpful at sorting it all out. 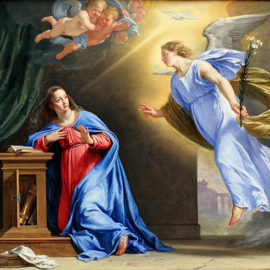 For those of you who know about the Annunciation but want to go deeper, this article from Catholic Exchange delves into the three theological components of the Annunciation. The Annunciation is an incredible moment in human history when The Word became flesh. In the fullness of time, God came to His people through a humble young woman, to save them. This piece from Elizabeth Scalia explains why it’s this moment that makes her cling to her Catholicism. 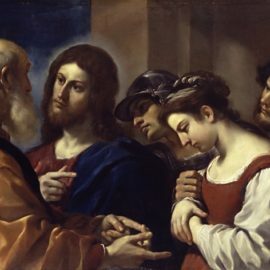 Lastly, this article from the National Catholic Register describes Heaven’s response when Mary said “yes.” A beautiful piece! Here is a wonderful resource to celebrate the Annunciation with little ones. Here is another wonderful post, Twelve Simple Ways to Celebrate the Annunciation. Perhaps some of your initial enthusiasm has worn off and you’re finding it difficult to stick to your Lenten promises and sacrifices. Stay strong, my friend!! This funny blog post from a Texas Catholic relates how hard it can be to stick to Lenten penances. The struggle is real! For a little inspiration, this article on not giving up during Lent is utterly relatable. Although we celebrate the feast of the Archangels in September, we’d like to take this opportunity to feature Saint Gabriel, who has an important role in the Annunciation. Follow this link for a great article on this saint, his role in announcing the Messiah and a litany to him. And here is a beautiful prayer to St. Gabriel. Since we focused on The Annunciation above, we won’t stay here long, but this is a beautiful article about how Our Lady can lead us with joy and hope through the season of Lent. Tomorrow’s readings can be found here. In the first reading, we hear of Moses’ encounter with God in the burning bush. 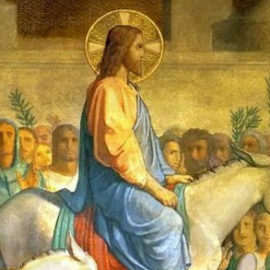 Scott Hahn has a great reflection for this 3rd Sunday in Lent. Check it out! We also found another commentary on this Sunday’s scripture which speaks to cooperating with the grace of Jesus. 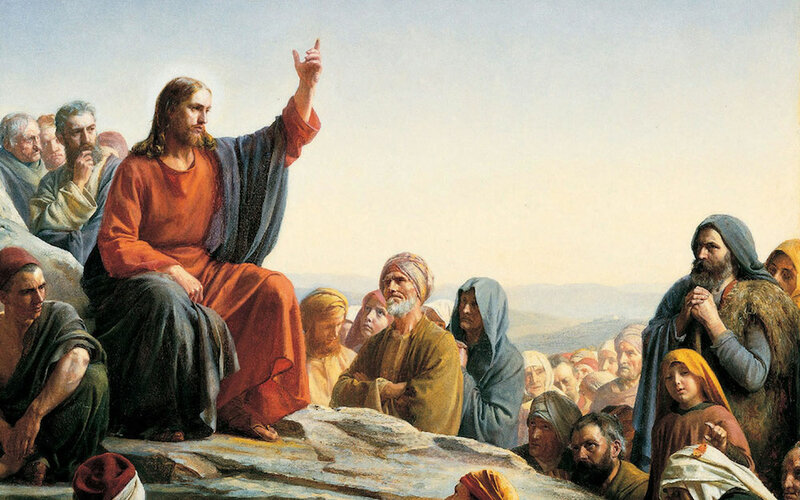 March 24th – Advisory Council meeting – begins at 3:00 pm with the Chaplet of Divine Mercy and meeting to follow. If you want to know what’s going on at the Center or would like to offer help or suggestions, please come. There’s no commitment… we just want to hear from you! April 10th – The Marian Center will set up a small bookstore for those on retreat at the Augustine Center in nearby Conway, Mich.
Our Lady of Guadalupe Moms’ Rosary Group starts up again in April! We meet on Tuesdays from 10 am -noon to pray together and enjoy each other’s company while the kids play! See you April 2nd! May 4th – Planting a Mary Garden 9:30 to 11:30. More details to come. P.S. Please forward this email to friends and encourage them to sign up for our email newsletter.